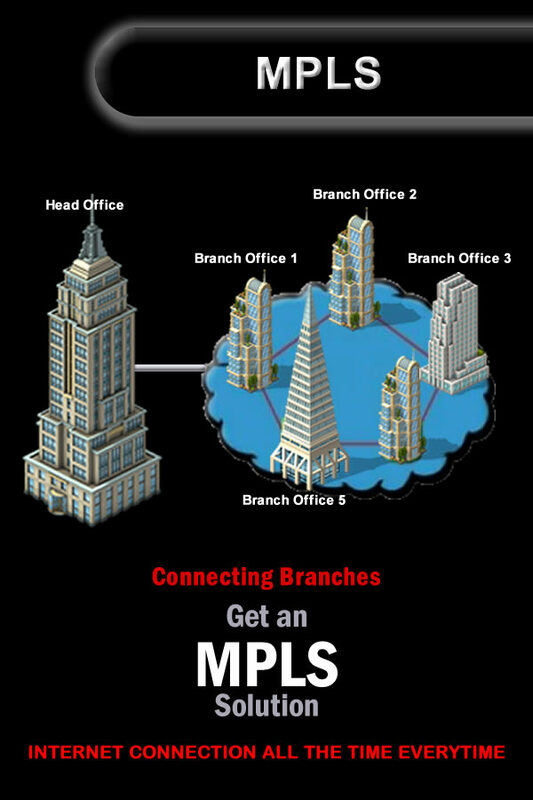 MPLS stands for Multi-Protocol Label Switching. This is a technology that is cheaper, faster and efficient for transporting data across the network. different protocols exist for different technologies. The uniqueness of MPLS over VPN and Ip connections is that it uses labels to transfer packets. Voice and data are sent in form of packets. In traditional IP networks, routers would perform an IP Lookup and then determine the next-hop-based on the routing table and the process would be repeated until the packet reaches its final destination. With MPLS, the first router like traditionally does the IP Lookup and instead of finding the next-hop it finds the destination router plus the predetermined path to the destination router. Basically, the packets travel from one spot to another, it checks in, drops in any needed information for processing and gets tagged with another label to replace the previous one. The process is repeated until the end. Faster speeds due to the labeling technology.